SEATTLE (AP) — Washington state must restore salmon habitat by removing barriers that block fish migration after the U.S. Supreme Court on Monday left in place a lower court order. The justices divided 4-4 in the long-running dispute that pits the state against Northwest Indian tribes and the federal government. The tie serves to affirm a lower court ruling. Justice Anthony Kennedy stepped aside from the case because he participated in an earlier stage when he served on the 9th U.S. Circuit Court of Appeals. 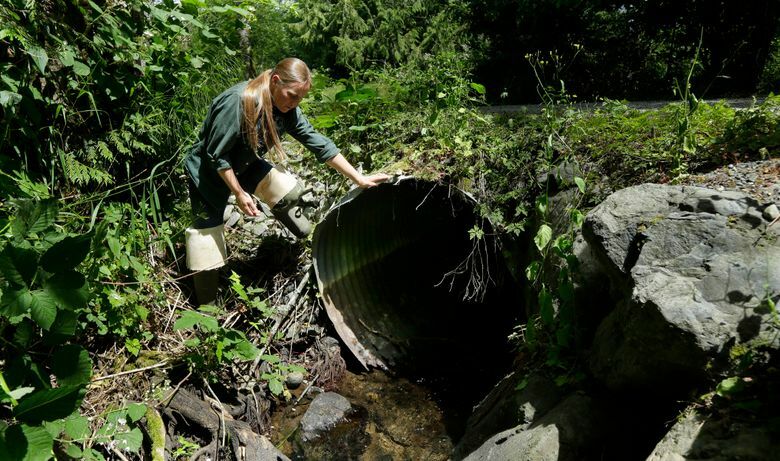 At issue is whether the state must pay billions to fix or replace hundreds of culverts — large pipes that allow streams to pass beneath roads but can block migrating salmon if they become clogged or if they’re too steep to navigate. Jay Julius, chair of the Lummi Indian Business Council, said it was a win for treaty rights, river rights and salmon. “This is not just about tribes’ treaty right to fish, but also the inherent right to harvest from a plentiful, healthy supply of salmon,” he said in a statement. The Supreme Court in April heard the state’s appeal of a ruling by the 9th U.S. Circuit Court of Appeals. That court affirmed a lower court order in 2013 requiring the state to fix or replace hundreds of the highest-priority culverts within 17 years. Washington has argued that its treaties with the tribes created no obligation to restore salmon habitat. It said the ruling would force it to perform work that wouldn’t benefit salmon because other barriers may completely block fish, and it would also make the state’s taxpayers responsible for fixing problems created by the federal government when it specified the design for the state’s old highway culverts. “It is unfortunate that Washington state taxpayers will be shouldering all the responsibility for the federal government’s faulty culvert design,” state Attorney General Bob Ferguson said in a statement. He said salmon can’t reach many state culverts because they are blocked by culverts owned by others, such as counties and the federal government. “The Legislature has a big responsibility in front of it to ensure the state meets its obligation under the court’s ruling,” Ferguson said. In seeking a Supreme Court review, Ferguson was at odds with other state officials, including Washington Gov. Jay Inslee and Public Lands Commissioner Hilary Franz. “For some time now I’ve hoped that instead of litigation we could focus together on our ongoing work to restore salmon habitat,” Inslee said. “It is time to stop fighting over who should do what,” Franz said. 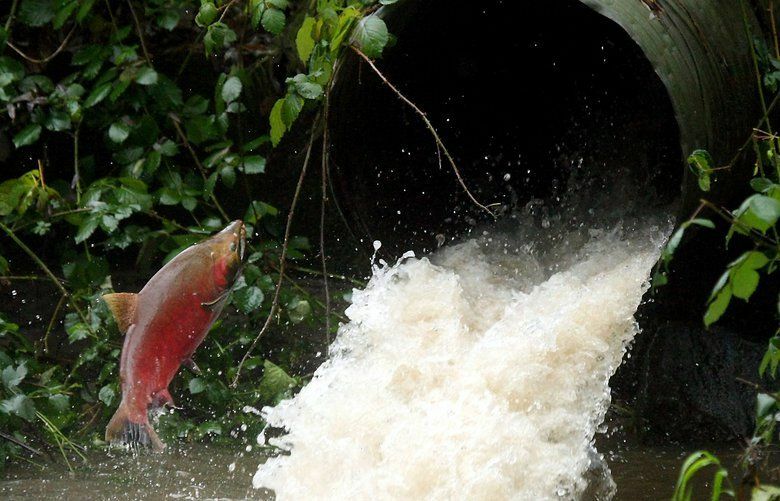 In 2013, U.S. District Judge Ricardo Martinez ordered Washington to fix or replace more than 1,000 culverts blocking access to 1,600 miles (2,575 kilometers) of salmon habitat. He also set a deadline of 2030 for the high-priority barriers. 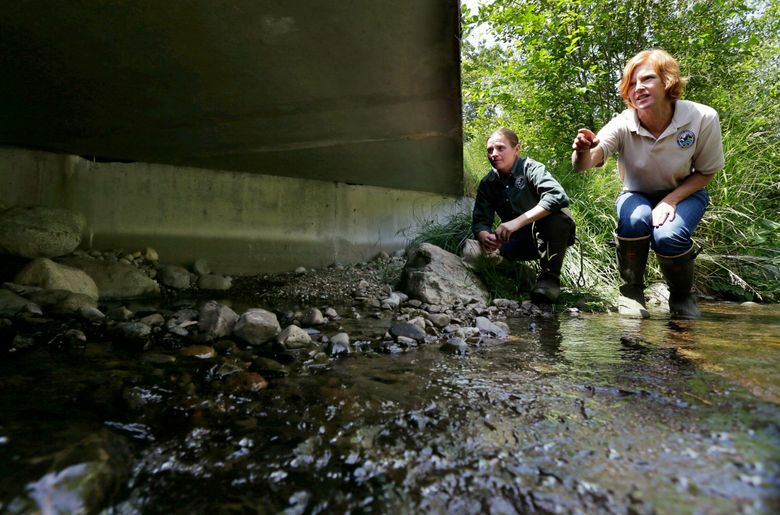 By next year, the state transportation department would have spent $200 million to fix 66 high-priority culverts with about 425 remaining, said Paul Wagner, who heads that agency’s fish passage program. “It will be a big victory for fisheries,” said Bob Anderson, a law professor and director the Native American Law Center at the University of Washington. Carlyle said that while he doesn’t think the Legislature needs an immediate special session to address the ruling, work will be done ahead of the next legislative session that begins in January.